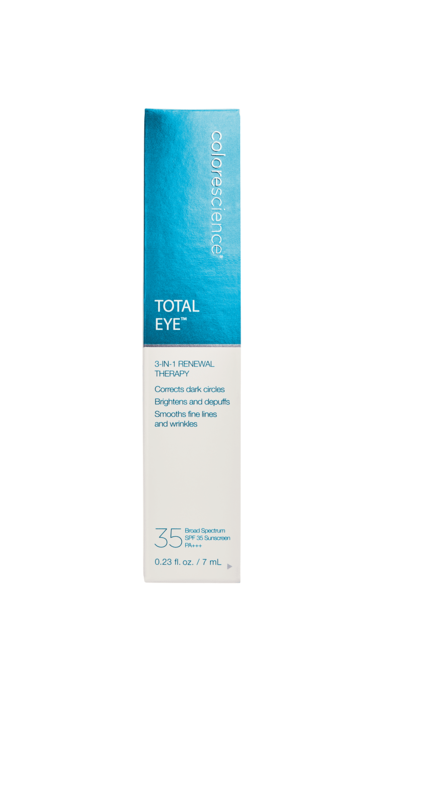 Total Eye 3-in-1 Renewal Therapy SPF 35 is a treat for your eyes to actively improve dark circles, fine lines, wrinkles and puffiness. This beautiful, reef safe product. not only renews the eye area, but also protects the eye from damaging and ageing UVA and UVB rays with broad spectrum sunscreen.